We’re helping two companies launch online stores before the end of the year. 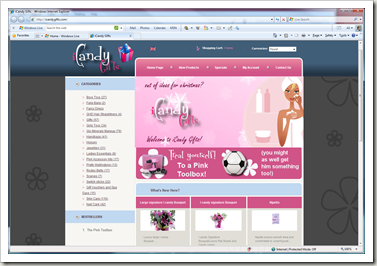 The first one, iCandy Gifts, went live last week selling beauty products and gifts. So if you’ve still got some Christmas gifts to buy, head on over to check it out! They’ve also got some really cool Pink Toolboxes – I need to get some of these for some friends. This store is running as the shopping portal for iCandy Nails and Beauty which Chaos Created relaunched earlier in the year for a Bristol based salon and spa.